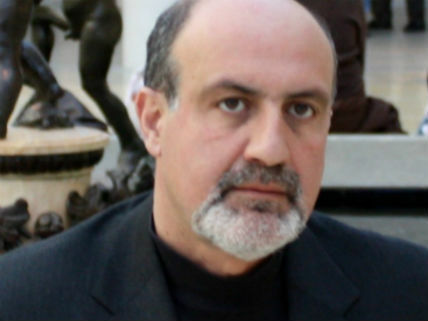 Taleb and his colleagues want to impose their supposedly non-naive version of the precautionary principle to forestall activities when “consequences can involve total irreversible ruin, such as the extinction of human beings or all life on the planet.” And GMOs, they feel, could result in “irreversible environmental and health damage” or cause “an irreversible termination of life at some scale, which could be planetwide.” Biotech crops, they claim, pose a systemic risk of global ecocide. This was written by John. Posted on Friday, February 19, 2016, at 11:04 pm. Filed under Contributors. Tagged GMOs, precautionary principle, Ronald Bailey. Bookmark the permalink. Follow comments here with the RSS feed. Trackbacks are closed, but you can post a comment.